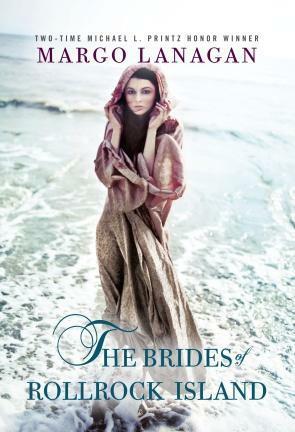 You can read THE BRIDES OF ROLLROCK ISLAND as a nontraditionally narrated snapshot of an island’s history, with no straightforward plot and no answers to what’s right or what’s wrong in this world. That’ll either confuse the hell out of you, or you will be delighted at the amount of space Lanagan allows readers to bring in their own values and interests to the story. Those who want to find a depiction of the complex meanings of domestic loyalty get that. Or you can also read it for its marvelous craft, its characterization and worldbuilding. It’s a story that gives no clear answers, and is all the more special because of that. Much like Thisby Island of The Scorpio Races, Rollrock Island feels like an entity of its own. Lanagan skillfully weaves a picture of an island suffocated by yet dependent on its claustrophobic living conditions, neighbors knowing one another’s businesses and knowing who marries who and who’s doing what with who else’s woman. I find stories contained in a small area, where each inhabitant must be developed with his or her unique idiosyncrasies, so much more interesting and realistic than plain-Jane YAs set in Anywheretown, America. The people and the island setting force one another to reveal their imperfect, weird aliveness. For those who appreciate great writing and are tired of the repetitious plots and characters that appear in so much YA, THE BRIDES OF ROLLROCK ISLAND will renew your faith in the magic of writing. e-galley received from NetGalley and publisher. Astrid Jones’ favorite pastime is to lie on picnic tables, spot planes flying overhead, and send the passengers all her love. She does this because she has no need of love in her life with her messed-up family in small-town Pennsylvania, where neighbors talk about neighbors based on 10% hearsay and 90% stereotypes. And she certainly can’t give her love to the person she thinks she might love…because it’s a girl. ASK THE PASSENGERS will most likely most satisfy readers who focus on LGBT lit and readers who are new to this subgenre. While it’s a good literary demonstration of what can be solid about YA lit, it doesn’t push the formula enough to be memorable for me. Cover discussion: Besides for being a bit too cheerfully toned for the book (in my opinion), I can definitely see this being Astrid, watching for planes. Catch up with Egypt: Part 1 of 2! At the end of Day 7 / Part 1, my two friends and I boarded a sleeper train bound for Cairo. We woke up the next morning... to a very, um, grayish-brown sky, and mountains of trash piled up against garbage-choked canals. Welcome to Lower Egypt! After being delayed several hours on the train, we arrived in Cairo and were whisked off to the Pyramids of Giza. It may come as a surprise to you that the Giza Plateau is actually located within a bustling urban district. As we drove through the smog and traffic ("This is just morning mist," our guide said; it was noon), the Pyramids suddenly loomed through the buildings and haze. It's not hard to imagine, from this vantage point, that the Pyramids could have been the work of something extraterrestrial, something beyond human. But by ancient human hands they were really built. We got to go inside the Great Pyramid, and ride camels and get a photo op. The place is perpetually swarming with tourists and insistent touts, but it's still a must-do for your traveling lifetime, easy-peasy. After braving the crowds at the Pyramids, we next braved another kind of crowd--Cairo traffic--in order to get to the Egyptian Museum. The problem with Cairo traffic is that there are an incredible number of vehicles on the road and simply not enough space for everyone to go. Whereas in the States you can take back roads or detours in order to avoid congestions, in Cairo there's nowhere to go but on the main path, along with everyone else. It took a while for us to get to the Museum, with the result that we had less than two hours to spend in a place that can take the better part of two days. The Egyptian Museum is dizzying with the scope of its contents--the treasures discovered in Tutankhamun's tomb take up a good quarter of the museum, and there are two extraordinary mummy rooms featuring a dozen or so pharaohs--but is also an example of how important the display is for the object: long stuffed to the brim, artifacts are displayed three deep, and the few captions that exist are faded from decades of neglect and poor lighting. Let's hope that the long delayed Grand Egyptian Museum project gets back on its feet, so that future visitors to Egypt can properly enjoy the museum! I also bought The Illustrated Guide to the Egyptian Museum, which is a full-color inside look into approximately half of what the museum contains, to supplement my short visit. Did I mention that I love and appreciate books? Oh, you knew that already? Probably my favorite day of the whole trip! Today was the day when we went outside of Cairo to explore the oft-overlooked pyramids of Dahshur and Saqqara. These interesting pyramids are the precursor to the ones at Giza; they're also great because they're rarely visited by the tourists that mob Giza, and thus, you can have a much more enjoyable and intimate experience with these pyramids, and really get an idea of what it might've been like to come across these structures in the middle of the vast desert. Dahshur and Saqqara yield some very unique pyramids, such as the Bent Pyramid, which the pharaoh Sneferu had his workers start building at a 54-degree inclination, until they realized that the slope was too steep for the structure to sustain itself, and thus completed the pyramid at 43 degrees. Whoops? Saqqara is home to the Step Pyramid, considered the first pyramid attempt, and the first time that anyone (in this case, pharaoh Zoser's architect Imhotep, that poor genius maligned in the Mummy movies) attempted a stone structure on such a large scale. Prior to this, people of importance had been buried in squat mastabas, and Imhotep expanded the idea into what we consider representative of Egypt. Every community needs a library like Alexandria's. Swoon. Swoon swoon. Swoon. Okay, I'll try to stop now. And thus basically concluded our Egypt tour. We arrived back in Cairo in the evening, and caught planes to our various homes (US, China, South Korea; yes, we are a very international crew) the next morning. It would be pointless to try to express how awesome the trip was, and how lucky I was to be able to do it with my friends. Without a doubt, Egypt is still a must-see destination (although with proper caution; I'll write more about this in a bit). I hope y'all will be inspired to put Egypt on your list of destinations to visit before you die, if it's not there already! I don't know about you, but I went through That Phase in my childhood when I glommed over all things Egypt. I devoured books on Tutankhamun; I wondered over (and was more than a little creeped out by) the mummification process. When I got the chance to go to Egypt in January to attend a college friend's wedding, I knew that I would do whatever it takes to make the wedding and then perhaps do a little more. Fortunately for me, my friends and I decided to use the trip as a really unusual one-and-a-half-year college reunion. My four close girlfriends from the swim team and I made the wedding; three of us then went on afterwards for the Egypt tour that took us to see sights I never thought I'd actually get to see in person over the course of eleven days. Can you imagine having your wedding in a place like this?! As I said, the wedding was a multi-day affair. It consisted of a Nubian dinner/dance, a trip for all of us out to an island to see the Philae Temple, a cocktail party (with open bar), the wedding itself with a good 500 guests (with open bar and white flowers allegedly flown in from Alexandria), and an after-wedding farewell brunch. Oh, I forgot to mention that halfway through the wedding there was a 10-minute fireworks interlude set to the Pirates of the Caribbean theme song while spotlights played on the ruins across the river from the hotel. I don't know how all these things fit together but I'm going to mention it anyway, BECAUSE. Temples, temples, and more temples! Today we saw lots. Of. Temples. It started with Kom Ombo (we were its first visitors of the day); went onto Edfu, the most well-preserved Greco-Roman style temple in the world; Karnak, a temple of gargantuan, imagination-inspiring proportions; and Luxor at dusk. They're all stunning and beautiful in their own ways--my favorite was Karnak, because of how its incredible size reflects the unified vision (and egoism) of dozens of pharaohs--but visiting four temples in one day is certainly overwhelming! My friends and I kept on disappointing our tour guide by mixing the stories behind the temples up--"Wait, which one was built to worship a crocodile god again?" --but oh well. Today we visited the West Bank of Luxor, the location of the famous Valley of the Kings, secret burial site for dozens of pharaohs. No one is allowed to bring cameras into the valley itself, so I'll just tell you about sloping tomb entrances painted with marvelous images of rituals and everyday life and gods and wars, and standing at the end of the tomb, staring at a huge sarcophagus carved from stone and imagining the place filled to the brim with mounds of treasures as befits a royal. Incredible. --and Medinat Habu, where the pharaoh Thutmosis III wanted his achievements to be permanent (at this time pharaohs and others used to go around graffitiing other pharaohs' monuments in order to try and "erase them from history") and so ordered all the carvings on this temple to be made extra deep. Later that night, we climbed aboard a sleeper train to continue our journey in Cairo. And that's where I'll stop for now! Boy, has it been awhile! This may have been the longest hiatus I ever took from blogging, on account of my hectic peak end-of-year work season and, afterwards, over a month's worth of unforgettable vacations, the pictures and stories from which I can't wait to share with you. I hope that you'll also bear with me as I transition back into blogging. It's not going to be the same as before--I'm not the same person I was before--and, inevitably, our interests change as we grow. I'll still blog about books, but there might be less frequent posts, fewer book reviews, and more posts about global/social issues that get me thinking. My travels in early 2013 have also awakened the travel bug in me, so with any luck, you'll get a fair number of posts about my travels, if I can make everything come together. I hope you'll still be interested enough to follow me on the next chapter of my life. I can't wait! Can I hear a "TELL ME MORE"?!? !